Startup Iceland - Building a vibrant, sustainable and antifragile entrepreneurial ecosystem in Iceland - How should we export Renewable Energy from Iceland? How should we export Renewable Energy from Iceland? I participated in the event organized by VIB on Exporting Electricity from Iceland to other countries. The former Minister of Energy and Petroleum of Norway Ola Borten and the current Minister of Industry and Innovation Ragnheiður Elín Árnadóttir were the chief guests with participation from the CEO of Landsvirkjun and Ketill Sigurjónsson, MD of Askja Energy Partners and Elín Jónsdóttir, MD of VIB moderated the event. It was interesting to hear the Norwegian Minister talk about the opportunities and challenges that Norway faced when it decided to build the first interconnect i.e. electricity cable from Norway to Sweden in the 1960’s and then the deregulation of the electricity market, followed by more interconnects to Netherlands, Denmark and now to UK. The event and discussion was to learn from the Norwegian experience as Iceland is considering and exploring options for electricity export to UK and other European countries. Here is the video of the whole session. What was interesting to me was that in Norway, all electricity is produced from Hydro power therefore rainfall plays a major role in the production capacity. The former Minister shared the fact that Norwegians felt connecting Norway to other countries ensured energy security for Norway. In addition, it allowed them to buy electricity when there was a weak rainfall in Norway and sell electricity when the price was higher. In addition to the interconnect, Norway deregulated the electricity market to enable a market based pricing. It allowed electricity producing companies to create a surplus and also drove down the price of electricity in Norway. The story in Norway is quite long as the journey started in the 1960s. It is a highly political and environmental issue. The Norwegian people did not want to destroy the nature by building more dams but wanted better energy security and lower prices. All competing demands and the summary was the issues and debates are not done, it is on-going but Norway has taken more steps towards electricity markets, price stability and energy security by investing in interconnects, deregulation and enable a market based model to stabilize electricity prices. The Minister of Industry and Innovation of Iceland, stated that Iceland will explore all options with caution, critical thinking and care. The cost benefit analysis is going to done and the parliament will discuss the issue and take action once all facts are on the table from the environmental, political and economic perspective. It was also interesting to hear the CEO of Landsvirkjun and MD of Askja Energy Partners talking about how this could be a significant energy and economic decision of Iceland. 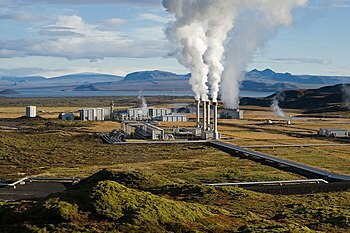 Iceland has abundant untapped renewable energy from Geothermal as well as Hydro sources. According to them the excess energy is the main driver for the interconnect exploration. The gist of their thinking was efficiency and better utilization of the resource capacity. The politics of this is quite sensitive in Norway and there were many environmental protests against building of dams. The protest continue in Norway. Norway has been successful in developing an energy policy and exploiting Oil, Gas and Petroleum with renewable energy from Hydro sources. The Norwegian Oil Fund is the world’s largest sovereign wealth fund and it has more or less been funding the welfare state of Norway. This is an important debate and I am sure everyone is going to come out with their pitch forks in Iceland when the data and analysis is done. I can understand the argument with regard to better utilization of the energy sources. I believe the best way to solve that problem is to export renewable energy through value added Bits and Bytes i.e Software based Services hosted and run from Iceland. I have written about it before, I believe very strongly that instead of exporting raw electricity, Iceland should be exporting value added electricity through Software and Data. In order to enable that we need to invest in better connectivity for Data ie. more Fiber Optic cables to UK and other countries. As much as I think we can sell the excess electricity, it comes with a significant cost and investment. This is why we have a business accelerator like Startup Energy Reykjavik that focuses on value added services within the energy sector. Exporting more of value added electricity through software and data, as Bala describes, is something I believe almost everyone in Iceland would welcome. However, we can do this AND export energy through a subsea cable. We will have enough electricity to do both. Keep in mind that Iceland is by far the largest electricity producer per capita and has potentials to increase the production substantially.